Unison Research S6 review | What Hi-Fi? Some folk believe that technical specifications tell the whole story. If you’re one of those people, then valve amplifiers are not for you. In just about every area, from power output and distortion levels to energy consumption, such designs are so far behind transistor-based alternatives it’s easy to wonder why manufacturers still bother. 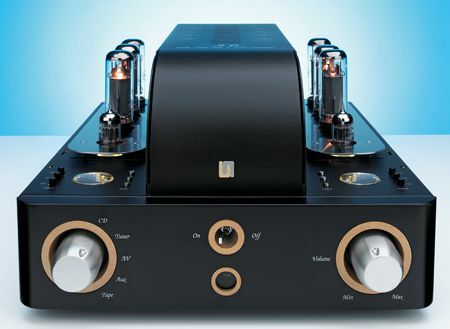 But then, listen to a valve design as good as Unison Research’s new S6 integrated amp, and it all makes sense. It’s the S6’s speed that grabs our attention first. It tracks a signal with a impressive lack of inertia, which translates into a wondrous ability to render the nuances of Nina Simone’s voice on I Loves You Porgy with a delicacy we rarely come across. Richness, power and tenderness: it’s all here, in generous portions. In the midrange and treble the S6 is the real deal. It’s agile and insightful, delivering the low-level details that define the texture of instruments and voices brilliantly. Not only that it keeps every musical strand in place even with demanding recordings such as Beethoven’s Fifth. Here, the Unison Research manages decent dynamic swings and delivers them with a confidence barely reflected by the 33W per channel power rating. Conventional wisdom has it that valve amplifiers sound smooth, warm and soft. Good designs such as the S6 prove things don’t have to be that way. Yes, it has a sweet presentation and a lack of hardness that few transistor alternatives can rival, but for all that niceness there’s enough transparency for it to sound appropriately brittle with harsh recordings such as The Magnetic Field’s I Don’t Know What to Say. Hi-fi aspects such as tonal neutrality aren’t ignored, either. The S6 even times decently, though if this aspect of performance is paramount we would point you to the Lavardins and Pliniuses of this world. The valve stereotype the Unison Research does live up to is the ability to deliver sound in an organic manner. Dynamic shifts are rendered in a lovely fluid manner, so changes in intensity sound wholly natural with voices or instruments. Most transistor-based rivals sound just a little mechanical and stilted in comparison. It’s as though they handle subtle level changes in distinct steps, while the S6 varies things on a continuous scale. Once heard, this ability is hard to do without. This is a beguiling amp, but it isn’t a brilliant all-rounder. With classical music the S6 is spellbinding, and it’s at home with anything acoustic – particularly if it’s well recorded. However, shift genres to the likes of Eminem or The White Stripes and this amplifier comes up short on attack and bass tautness. Most of the better conventional alternatives will deliver a more attacking performance with music such as this. However, it’s important to note that even when the S6 isn’t on home turf, the results are enjoyable and the music’s message is still relayed unambiguously. Its ability to reveal emotion in vocals and tie all the instrumental strands into a cohesive whole continue to shine through. The S6 is capable of sonic magic, but that magic gets just a little diluted with music such as this. Move away from sound quality and there’s more good news. Build quality is excellent: all the controls have a solidly engineered feel, and even the remote control – the thing we usually complain about with most high-end products – is an attractive, nice-feeling wooden affair. The amplifier is available in two good-looking finishes: the black of our review sample and one with a cherry wood front panel. Technically, this is a relatively conventional valve product. It uses the purist single-ended approach to the output stage rather than the more common push-pull arrangement. In theory, single-ended operation gives greater sonic purity, though it’s an approach that suffers when it comes to power output and the ability to really grip a speaker. As is usual on single-ended designs, this amplifier works in Class A mode. It means the valves run hot (and use a lot of electricity in the process), but sound quality should benefit. As usual, the spec sheet can only reveal so much. It’s the quality of the components used, plus the engineering compromises chosen that define just how good a product becomes. The S6’s depth-biased proportions and 26kg weight demand a big (and strong) rack to sit on. The relatively large quantity of heat generated by the six EL34 output valves mean it’s a product that needs plenty of ventilation, too – placement in a closed cabinet is a definite no-no, though considering how distinctive this amplifier looks, we can’t see many owners wanting to hide it away. The relatively low power output and single-ended circuit configuration means that careful speaker matching is a must. The Unison will sound small, congested and soft down in the bass department if things aren’t right. Get it spot-on and the S6 emerges as a strong product at this kind of money. Granted, other similar products might better it in other areas, but none stun like the S6 in what it does well. So good is the S6 in its areas of strength that we find it easy to forgive the lack of outright attack. Rivals that can better it in this aspect don’t even come close in other areas. It offers a viable alternative to the established class leaders – one where the sonic character is so different from the norm that we can’t imagine a person being undecided in a head-to-head comparison. So, then, if you fancy something out of the ordinary, and can take the care necessary to build a compatible system of suitable quality, this Unison Research amplifier is a simply terrific buy.